The Russian Nerekhta-2 combat robot’s new capabilities will be showcased at a proving ground in late 2016, Deputy Director General for Advanced Research Fund told Sputnik. MOSCOW Nerekhta-2 will be equipped with a new type of ammunition and will be capable of tackling enemies larger and stronger than itself, according to Igor Denisov. “We have chosen the Nerekhta platform as the most suitable for making a number of changes, this is a ‘lab’ for testing the most promising solutions for ground robots supporting combat operations, including in the city. I think we will show the Nerekhta’s new capabilities at a proving ground at the end of the year. It will have an air component, there will be additional automation elements,” Denisov said. 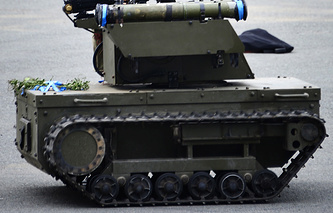 According to the deputy chief, the Nerekhta-2 combat robot will be part of Russia’s future soldier equipment. “The invisible part of the Nerekhta — its control system — is important as well. We are considering it as part of the ‘future soldier’ combat equipment. It is impossible to constantly improve the capabilities of a human being and putting on more armor, that way we will turn him into a walking tank. The fighter needs to have a personal assistant, a weapon carrier,” Denisov told Sputnik. 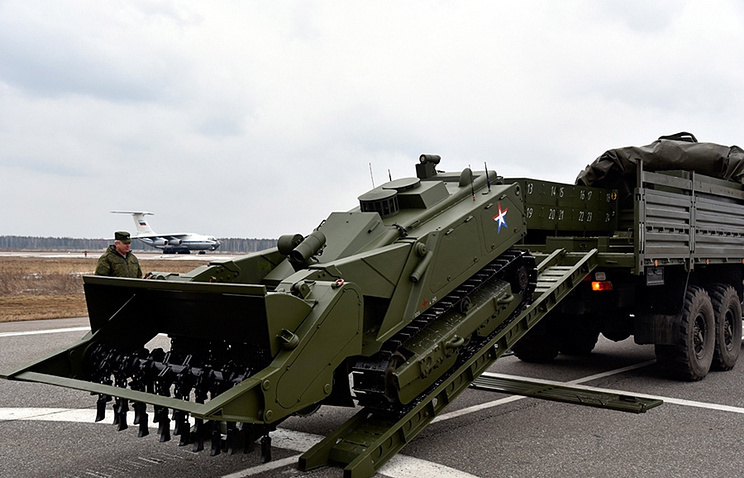 Russian military robots will be tested at the sites of the Russia’s Industry and Trade Ministry and the Nizhny Tagil’s Salk landfill in Sverdlovsk region will be used for testing drones. 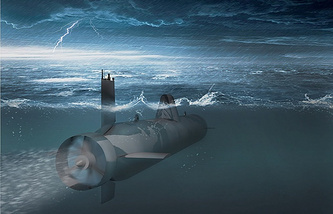 “We found the [Industry and Trade] Ministry’s support for the creation of polygon bases for testing the air, underwater and ground robotic systems. First and foremost, that means the equipment of the Salk landfill in Nizhny Tagil will be used for testing the heavy class drones which weight about a hundred kilograms [220.5 lbt],” Denisov said.According to him, the Industry and Trade Ministry’s sites, as well as those belonging to the leading corporations, which are all equipped with all the necessary monitoring and security devices, will be used for the robots tests. “We are also considering two offshore sites for testing underwater robots. This is quite difficult in terms of control, because those robots cannot really be tied by a string <…> Especially not those autonomous robots which will be solving combat tasks,” Denisov added. The Fund for Perspective Research was founded in 2013 to strengthen research and production of technology for the Russian military. The Fund is currently working on over 50 projects for which labs have been set up at the leading Russian universities and research institutes.